One of my absolute favorite things is to see quilts or quilted items I have made being used and loved. 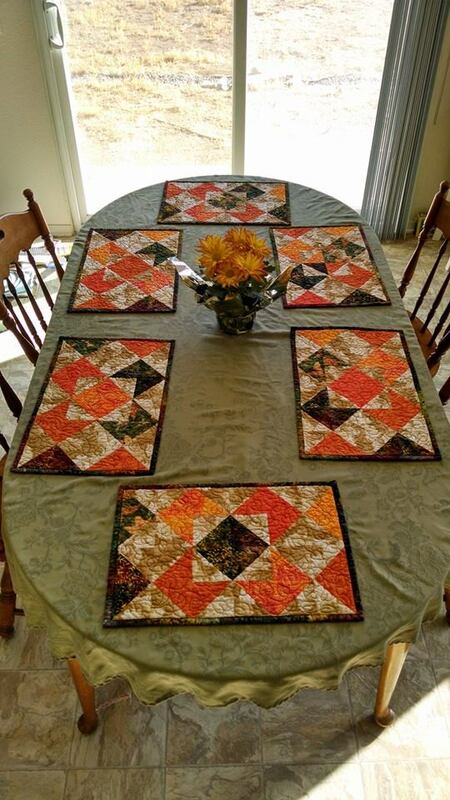 There really is no better way to send thanks than to send a photo of a quilt being used. I don’t care if it is best used as a cape, toy blanket, draped over a lap, or draped over a chair. I love knowing that the items I make are being seen, touched, used, worn, and loved! The newly completed Fall Placemats are also a big hit in their new home! They are loving them and each family member has already chosen “their” placemat – which is exactly why I made sure each top was a unique combination of the fabrics. Don’t they look like the perfect place settings? These photos make my heart so happy and are definitely the reason I love making quilts. Yay!! I love this too. These people are quilt-worthy. And, I’m happy it makes you happy. Aww those are such sweet photos! The best kind of quilt photos, I especially love that first one. So beautiful. Both the quilts and the toddlers! Fabulous pics! It is so much fun to see your work put to good use. I know I love knowing what I put effort into is appreciated and loved. So sweet and adorable. I also love knowing the quilts I make are used and loved. Awesome photos! Great seeing your works in their new homes! Such sweet photos!! 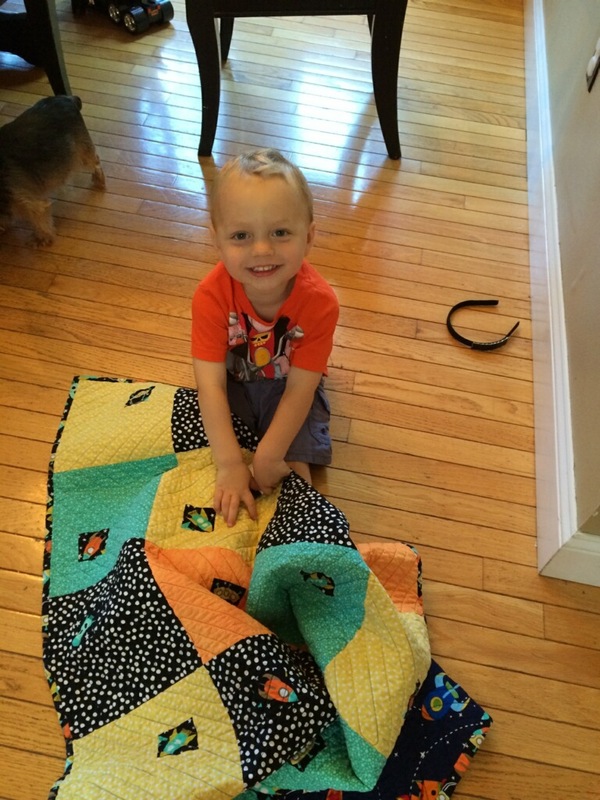 The best thing about making quilts is to see them loved! There’s nothing more satisfying than knowing something you made is loved by the recipient. 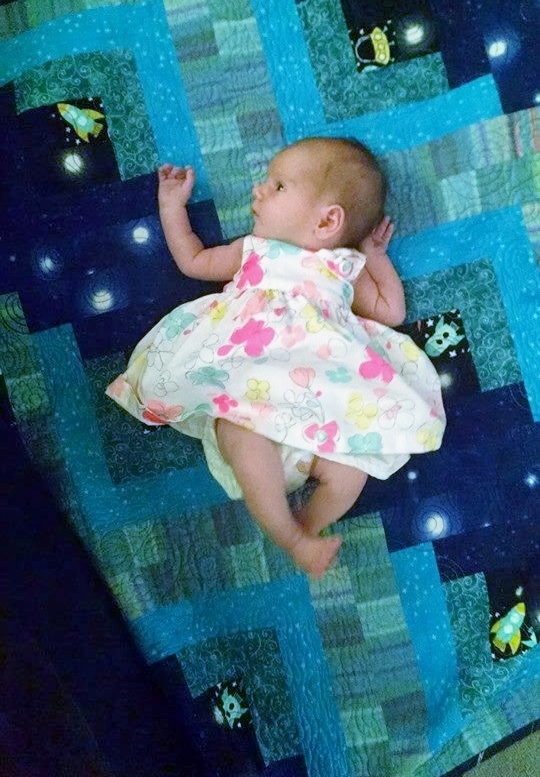 Great photos of your quilts being loved! they are well appreciated – placemats look great! Oh yes. That is why we do it 😉 Thanks for sharing with us. Too right! We make stuff so it will be used and enjoyed. You couldn’t be more right! The best thing anyone can do is show how much it is being used/love/seen or anything in between! I dislike the moments when I am wondering about quilts I have made and have never heard from when it goes so long without seeing or hearing about them. Lovely quilts as always! I absolutely agree! I hate it when someone says, “that’s too pretty to use.” Umm, no. It was made to be used! So wonderful to see your creations being properly appreciated.